Editor’s Note: I read the comment section of the National Pain Report every day. In recent months, I have been noting more isolation, desperation and people actively talking about suicide. It has been alarming. I reached out to a friend of the National Pain Report, Dr. Geralyn Datz—a psychologist and past president of the Southern Pain Society and asked her for her thoughts. What follows is a powerful personal story and advice for us all. I logged on to my email. It was the end of a long day of seeing patients and my staff knew I was booked back-to-back for hours. In the long, inky black list of bolded messages, one subject line stood out to me. “Follow up” it read. Followed by the new patient’s name who I had just seen yesterday. It stood out to me. I don’t know why. The message read that my patient had “passed away….. unexpectedly”. I was shocked. The flashbulb memories began. A tall lean, male with a casual manner. He had laughed on a few occasions, cried on others. He had several young children. He and his wife were no longer speaking. She had moved out months before. He was young. He had severe pain as well as depression and trauma. He couldn’t afford his medications. He had maxed out all of his credit cards and truly could not afford another bill. He couldn’t get his insurance to cover a visit to a provider that he badly needed to see. I was working on helping him through the healthcare maze. I could sense things were desperate and urgent. But he minimized how dangerous and risky his depression was. I knew he did this purposefully now. Later that day I found out the patient committed suicide. Oh my God! I missed it! Could I have done something differently? Should I have spent more time? Oh no, no…. This cant be! He had been at my office several hours, and I spoke with him for quite some time. But months, years even, of distress and medical history often cannot be adequately summarized in one office visit, no matter how long. Adding to that, he had gone without healthcare for several months before I saw him. I was the last living provider that he had spoken to. It was, quite literally, hours since I saw him. He left my office with a wry look and I knew what we covered was exhausting to him. I tried to instill hope. But was his mind already made up? He told me his story, both medical and psychological, and I understood his position. I saw the inroads. I saw the connections and the recovery plan. I knew I could help him I just needed time. And now there was none left. In mental health, suicide is not an uncommon topic. Until recently though, in chronic pain it was. The sense of isolation, hopelessness and loss of identity that is the experience of pain patients everywhere can become all-consuming. Now coupled with that, are the many system challenges including lack of access to healthcare, lack of coverage for services, and the more recent issue of lack of access to medication. The Opioid Epidemic has spawned a near hysteria around pain medication. This has resulted in dramatically fewer prescriptions, the fears of overdose, and lack of care planning. In the zeal to contain a public health problem, we have forgotten about the public health. Normally, we are programmed for Life preservation. But this is when life is going well, or at least it seems as if our problems could be solved. Or, at the very least, that there is hope that our problems can be solved. When suicidal thinking takes over, the mind becomes convinced there is no other alternative than death. This realization actually helps the suicidal person to feel relief ….believing that there is an actual end to their suffering, and that this could be in their control. Sometimes people with suicidal thinking believe others would be relieved, too. The tragic trick of depression and suicidal thinking is that it makes the person believe that permanent escape is the only reasonable solution and it will solve everything. Suicide is a means of escape from life. But it is also a tragedy. It’s a horror. It’s a cataclysm of a life cut short and the exponential waves of grief for those that survive the person who takes the action. Chronic pain patients need treatment. Some patients need medication, some need supplementary care, and others need both. If treatments are modified, or taken away, there must be other forms of care that follow, and are available, accessible and approved by insurance. We can do better and we need to do better. And, for too many, we are running out of time. If you are someone you know is considering suicide, help is available, call +1-800-273-8255 to speak with someone or text start to 74174 to message with the crisis text line. Authored by: Geralyn Datz, Ph.D. I attempted suicide because I was in so much pain, my insurance denied all pain procedures, doctors refused to prescribe anything, and I wanted out of this cruel world. After the suicide attempt, I was thrown into a lock down mental institution where I was stripped searched, treated horribly like a criminal, and my pain wasn’t even acknowledged. I cannot work, friends and family vanished, and I am depressed, anxious, traumatized, and isolated. I wish that I could qualify for an assisted suicide, which be the least expensive and humane thing to do, but since it’s not an option, I will attempt again to finally find peace. Sadly, I will become another suicide statistic. I have had over dozen surgeries and suffer from horrible congenital spinal abnormalities that have been nothing but pain, suffering, financial disaster, poverty, and huge issues in all aspects of my life. I have been verbally, mentally and physically abused by doctors. I am allergic to opioids and many other medications. I was literally strapped down, held down, tortured and injured at a spinal injection. I have severe medical PTSD now thanks to the “care” I have gotten. I have serious mental health issues now, thanks to my doctors. I pull my IV’s, escape hospitals, and leave during doctors appointments because I am told to go get spinal injections. Why would I want to risk being tortured and injured again? I do not understand doctors, many were nice, but many were also abusive and don’t care. I have no treatment options and I am tired of spending 2 hours filling out paperwork to see a doctor, and then they want to do a spinal injection. I tell them my history and issues, and nothing happens, except me leaving with zero help or treatment. Doctors have gotten angry and yelled at me for refusing spinal injections. I am tired of no treatment, except abuse, from doctors, they are ultimately responsible for my death. I was past my character limit in my first post so this is a continuation for the rest of my story.. I realize wanting death is extreme but I can’t do this anymore. My body is consumed with disease and that is all I can think about now. I have begged for amputation of my hands and feet, have had to endure the worst pain ever for many many years. Our government is shutting us off from the medical attention and pain meds and leaving with one last option, suicide. I apologize for my typos throughout this post, At the moment i have limited use of my hands. At the end of my first post it should have said, i am researching assisted suicide. Thank you for hearing my story. My heart goes out to all who are suffering with chronic pain with no quality of life in sight. Truth be told my heart is broken. Love and peace to all. I also cried as i read this story. I am 50 yrs old and have struggled with multiple issues causing horrific pain. It all started when I was 12 yrs old. I felt intermittent pain in my lower back on a daily basis. I shrugged it off because I was a kid and thought my active life was the cause. I never sought treatment until one day, 25 yrs later, I was unable to get out of bed. I tried but the pain was so severe it took my breath away. It was sharp as ever and it impacted my ability to walk. Of course at this point I thought it best to finally seek treatment. My primary, as wonderful as he is, immediately saw the issue in the xrays. It was spondylitis At grade 1 slippage. At this point the pain had eased and I was able to walk again. My primary prescribed opiates and prednisone and suggested I go to a specialist. But i thought I was tough enough to push through it without additional treatment. Many bad days ahead with problems walking or having a sharp pain hit me and take me to the ground fast and hard, pain shooting down my legs as well. So let’s move ahead some 20 yrs dealing with this without medication and boom all of a sudden burning sensation in my feet, I can’t touch them, throbbing, swelling, and within days the worst pain ever in both hands, wrists, knees, shoulders and right side of my face. So you all know the rest in regards to it taking a long time for doctors to see that I have mild to severe RA, neuropathy, fibromyalgia, scoliosis, psoriasis, endometriosis, calluses on the bottom of my feet, hurts bad to walk, and toes curling and popping, and now my back has progressed to grade 4 spondyloptosis and required surgery. Surgery wasn’t as successful as hoped. Ok, so now I have a hand full of drs, I’ve developed vertigo that causes fluid build up and then infection more times than I can count. At the moment i am being treated for sepsis. I constantly have to deal with tmj. So I’ve gone thru the pain management injections, taking a  load of meds but only have hydrocodone 7.5 for pain relief but all of a sudden last week I started having trouble breathing. I got scared and stopped taking pain med and low and behold my breathing improved. Dealing with all of this for so long has caused severe depression and anxiety attacks. I’ve thought about suicide so much. But I am a coward and cannot harm myself just yet. I will admit that I have been researching assisted suicide. I feel death is my answer. Rich R., Iam disabled and a chronic pain patient since 1998.My pain meds like everyone else have been decreased by more then half,never failed a urine test and everything was fine until Dr.Kolody and PROP lied and made up all the false stats on opioid deaths which are from heroin and fentanyl.Iam so stressed and depressed over this whole issue.The US Government just bombed Syria for killing its people with Chemical Weapons and goes after other countries for crimes against humanity.It is so Sad to me our Veterans are committing suicide because they can’t get Pain Medication for their pain after getting wounded protecting our Freedom.To me this outright discrimination,inhumane treatment of our elderly disabled chronic pain patients and genicide.These CDC Guidelines on Opioid Pain Medication and the threats on our Pain Mng.Doctors have To End Now.To many Pain Patients died at the hands of Dr.Kolody and PROP. Iam 61 and I never would of thought my government would actually do this to disabled people with diseases.Maybe some people are correct us Baby Boomers going on SS is a Strain on the funds so just do away with us,I sure hope that’s not the case.Everybody knows the problem is the Heroin and Fentanyl coming from China that is killing people not Pain Meds.The Govt.and CDC can’t be that stupid,WTF up and get pain doctors and chronic pain patients on a committee and rewrite the Pain Medication Guidelines before things get really out of hand.God Bless All The Disabled Chronic Pain Patients.Dont forget what comes around goes around for all these so called experts with blood on their hands. I think that the author, and most health professionals, are not capable of comprehending what drives some individuals to commit suicide. Personally, I’ve thought for a long time suicide was simply inevitable in my case. I’ve told myself all sorts of things to stay alive and after over a decade of being disabled by problems I told myself I owed it to myself to at least figure out why things are so terrible before I know with certainty suicide is my best available option. I’ve spent five years figuring out why I was in so much pain. After finally figuring things out I spend a year and half unsuccessfully trying to get access to treatment. No one cares, or more specifically, peoples idea of ‘caring’ is ‘feeling for you’ and frankly that is just useless. Need treatment, not emphathy. Specifically need resources for treatment, or at least a specialist willing to try to argue medical necessity with the state medicaid’s medical director. Only other alternative is to ask my parents to go into 10-20k in debt, possibly more, ruining them financially; my life isn’t worth that; just ask medicaid, SSI, the community as whole. Sigh. I’ve tried all I know how. I’ve been mishandled, had my rights violated, and been jerked left and right by various medical providers, and it really boils down to ‘unless you can pay out of pocket, go away’. Talk all you want about how things ought to be, or should be, how services need to rendered and patients needs met, it doesn’t change humans and how they operate. To me, I don’t wonder why people commit suicide. I also don’t wonder at why people commit terrible acts like school shooting. They’re both preventable problems that really have very little to do with an individuals mental health; or more plainly, the persons mental health is a reflection of the external and internal conditions they have been subject to. What I’ve had to live through has taught me in a very visceral manner, that we are products of our environment, and so long as the environment persists such outcomes will as well. In that sense, it is inevitable for persons in situations like mine, and possibly also that of the patient described in the article, for suicide to be the only afforded action by which one can, if not have peace in life, at least a cessation of being. The patients life wasn’t worth the resources needed to provide treatment, and apparently neither is mine. It’s hard to accept, but that’s how society currently structures itself. Such a sad, sad story. Speaking for myself, I live in the United States and for one expect a very large rise in suicides here in the US. I am a chronic pain patient, have been for years, and avoided opiates for many years, until there were no other options. Laying in a bed 24/7 is no way to live. I myself had decided I no longer wanted to be here. But, for my wife and 3 boys, I went ahead and tried the use of opioid pain medication. It changed my life. I could walk, play with my grand children, and actually live. But now, with the crackdown on presription opiates, Dr’s, including mine, are scared to prescribe them anymore. I belong to a support group for Chronic Pain and suicide is discussed far to often. And two have went that route since there medications were taken away from them. These were not drug addicts. They were in pain. And found something that changed there lives for the better and had it taken away. You discussed missing depression in a patient, but i believe that can be extremly hard to see. But when Dr’s are scared to prescribe what they believe they should for a person in daily, constant Chronic Pain, depression is being created. My point is, while it’s very sad what happened to your patient, I think Dr’s should consider what there doing out of fear to there patients. I know the desicion I have made, once my medication is taken from me, which I expect, and it’s an easy choice. I will enjoy my last few days with my family, and once my medication runs out I will leave this world. And its a sad state of affairs for many like me, who will be left with no other alternative but suicide, because the opioid issue has become more about politics than saving lives. I thank you for your time if for reading this….. 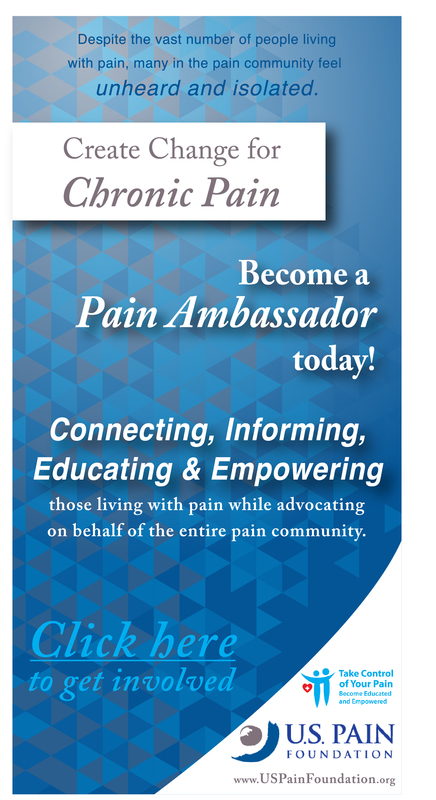 Thank you for your story and recognizing chronic pain patient’s. Many look at us with judgment as addicts when all we want is to live a somewhat normal life. We’ve already lost the person we used to be and that alone is devasting and a long road to accepting who we are now. I’ve had my days of suicidal thoughts when the pain is so unbearable and all you see are new laws and doctor’s who promised they would never abandoned you decide they can not risk loosing there licence for you, which I understand but what about us do we not matter anymore. This has been heart breaking having to leave a doctor you trusted only to go to another doctor who knows nothing about you and assumes you are a seeker. I know I have to live for my family and I don’t want to die but I’m so tired of living in fear of not receiving the care I need because of fear. Thank you for not giving up on patient’s like myself more Doctor’s need to fight for us as we are fighting a battle we did not ask for nor want. If I could think this pain away I surely would. I love my life and my family and just want a quality of life that we all deserve thank you for caring! I cried while reading this letter. Then I prayed. My heart aches for this man and for everyone suffering from pain and depression. I have both. And I’m in pain every day. I get depressed more and more because I can’t find help or relief. So I understand this man and what he was going thru to a point. But I beg you to not give up. I went from Dr. To Dr. Until I finally found one to help me. But with this opioid epidemic everyone is treated like a drug seeker and it kills us who are not. We just need help In coping with our pain. I can’t think when I’m constantly in pain. I want to get better so I can help you all. I want to be able to help you find relief. That’s my goal in getting better. But first I’m trying to get better. Please stay strong you pain warriors. Don’t give up, someone will hear us besides GOD. I really need to read something positive. Does anyone see any hope for this nightmare to stop? Meds cut in half. I have severe pain after three back surgeries. No way I can live in this pain. I don’t want to die. Just live out my life comfortable enough to do a few things I enjoy. Not be laid up in a bed 24/7. Thank you for your wonderful and very personal post. I am touched and moved to know there are still many care providers who truly care about their patients, & with our society as a whole. You instill hope and compassion during a true time of emergency which is unseen, where our government and medical system seem to have fallen apart. 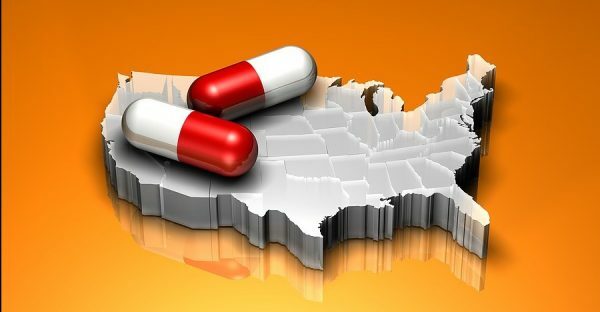 It is disheartening to see that our media has taken a large part in reporting all the negative woes of treating people with opioids & further create this epidemic of fear with receiving such treatment, & seem to dismiss a very much needed education of chronic pain, the lack of healthcare access to help, medication, emotional and familial support, and community support. I use to be of the mindset that so many of these patients were just drug seekers or addicts and that their chronic pain couldn’t possibly be as life-altering & debilitating. I have worked in the medical field for years, and I can honestly say I was sadly ignorant for believing as I had. In the past few years, I’ve been enlightened. I’ve learned the hard way that our healthcare system, government, society, and family are not as advanced or educated as we allow ourselves to believe. There’s a misconception and false belief which has spread like a wildfire, and trauma is endured by the inhumane treatment met each step of the way. Fear is the driving factor behind this epidemic & one must ask ourselves what manipulative actions are in place by those w/more to gain. Education & insight have fallen by the wayside and patients are driven to a final way out. After multiple illnesses came toppling upon myself and a chronic pain issue bloomed into a full onset of lifetime problems I soon realized how turned around my outlook & belief were. I went from a very self-confident woman to a very depressed & suicidal wife and mother trying to cling to any normal life I once knew. In an instant, I’d become an “addict, med-seeker, liar, and belittled in each & every step. I’d never even been a drug user, yet a label was attached to my forehead. I was now dealing with not only a debilitating physical illness, but I was heartbroken & exhausted by the process. There will always be drug users, but we have an atrocity on our hands with the witch hunt that has ensued on those who need our support & understanding the most. Suicide comes from not receiving the care we need with dignity, compassion & promptly at the gate. Help is a nightmare now thanks to tbose that abuse OUR medicatons and often die from tbis abuse. However we chronic pain suffers are now looked as druggies or what have you. Our doctors are now afraid to treat legitimate patients like myself. My insurance now refuse to pay for some of the medications i need. What patient like myself hasn’t begged God to just let us die and end our misery? I pray for each man, women or child that suffers true chronic pain even with care it is all we can do many days just to get through the day. Thank you sharimg this tragic story, sadly suicides from chronic pain will increase dramatically if our government doesn’t forget we are not part of this drug war we are the patients that depends on these medications to survive guaranteed if mine are ever taken from me the result will be a disaster. It’s madness that ppl who have relied on Pain medication 15 years can gave it canceled all of a sudden. My pain has gotten worse over time. I can’t imagine what it would be when all medications got out of my system. I’m so scared. Rick explained the twisted situation exactly…I am a fellow chronic pain person for 20 years in January 2018…A motor vehicle accident and injuries sustained os why I am in pain daily. The FACT that the only opiate use, on record, are those that are PRESCRIBED BY HEALTH CARE professionals. We who are part of this ‘group’ have been marginalized and targeted ILLEGALLY. There has to be a unified voice to represent us correctly, with statistics that are not skewed. I have contacted (emailed) my representatives and received, in response, a form statement amounting to nothing. My young adult son is on the autism spectrum and because he exists, that responsibility prevents me from follow-thru of ending mine (existence). I have had 3 back surgeries, 6 knee surgeries, 2 hand surgeries and the placement of a spinal cod stimulator in my back. I had to have a second surgery for the spunal cord stimulator to replace the recalled battery. I have had almost a hundred injections in my spine and hips. As a result of these injections I now need two hip replacements. and the outright refusal of these COWARDS to secure the Mexican border that allows the result of these failed policies to be smuggled into our Country by the much feared cartels. As usual it is much more politically expedient to screw the American people than to do the right thing. Our own former NH Governer refused to acknowledge that there was a Herion problem in our State. Only when she announced her intention to run for a Senate seat did it became an issue. That is when she declared it was a full blown crisis. Even then, she felt the same as most other politicians. The only thing that is in their control are prescription meds. So the easiest thing to do was to politicize the prescribing process. Take the Doctors right out of it!! These Poluticians seen to feel that they are so much smarter than everybody. Rest assured that if these people need these meds they are plentifully available to them. We are all aware that the rules and laws that they jam down our throats certainly cannot apply to these high and mighty cowards!! I am so very concerned about what is happening with the opioid crisis. I have suffered for 15 years. Yes, I am tired of all the pain, lack of sleep, fog. I have a wonderful Dr. But with next year and some is happening now we’ll nobody is thinking about the effects this is having on chronic pain people. I believe we will see more senseless suicide in the future. I am scared. I live with chronic pain everyday and to was ripped from my meds do to regulation s by the feds and was treated like an addict n mistreated its wrong, my heart goes out to the families left behind to those whos loves one who took there lives do to feds putting regs on dr who do sometimes care. I suffer from GAD, Panic Disorder and PTSD. I’ve spent six years of my life in chronic pain without medication. I’m suffering and getting worse day by day. I still can’t believe this is the way I suppose to live my life. What  is wrong with the Healthcare system? I don’t abuse drugs; but I’m hurting myself with my daily use of Tyleno. Which is better 3,000 mil of Tylenol or a simple pain med? Answer that Big Pharma!!! I’m in pain as I write this and pissed. I can understand what this person felt. I was born degenerative arthritis, I have had over 20 surgeries so I could be able to walk. sometimes the pain is overwhelming and the pain medication doesn’t help And it just like drives you crazy. We need the FDA to understand that there are people like us I’m not trying to be I don’t want it but I don’t want this pain. I’m just thankful that I have God in my life and a good wife to keep me going. Pain equals depression which I suffer from due to pain. I know for sure the prescription pills have dried up on the streets bc of the system the DEA put in place about five years ago. Connecting all pharmacies and doctors to computer system. Most should remember that up until about 8-10 years ago there was rampant doctor shopping for pills. I knew of several guys my sons age that were doing it. They did it for a living. Going to a couple docs each week to get Opioid plus Valium or something. Many of the young addicts have in fact turned to heroin… To replace the unavailability of pain pills. So why are they preying on the chronic pain patients now? Many of those who were just using Opioid recreationally have turned to heroin. There’s a big increase in heroin addicts. I think a lot of the ppl who were faking pain at a pain clinic have been eliminated. So why punish ppl who genuinely need this medication to live a resemblance of a good life? I just don’t think there is that much Rx medicine getting to the street. (sorry if I rambled. I’m rather emotional about this. Had my med, the exact same I’ve been on 18 years, cut right in half and I’m not doing well.) if the media I’m left with is cut I will definitely have to take my life. No question about that. And I don’t want to bc I like life. But not like this. Can’t do it much longer. Talk about insult to injury!! Ops. Did below already.. Thanks ! I am going through the same thing. I have had 8 back surgeries and I only get Norco. I don’t know how much longer I can do this. Do they not understand that no matter what they do there is always going to be drug dealer they can get it from. They make it hard for us. They should look at what’s wrong with us and not what the drug addicts are doing with it. As long as we are taking it the way we are suppose to I don’t understand the problem. I don’t know what to do. Maybe we should all get together and protest cause it’s crazy and I’m suffering. I know a very compassionate ex-pain management doctor (not my PM doctor) who was invaded by the FDA. It is one of these horror type stories…records taken, finances taken and he has been in jail for over a year witout a hearing! I don’t know how his wife and four children are making it. He was a good man doing nothing illegal…just had a heart for those who suffer. Supposedly, the only thing that was charged against him was his records weren’t as they were supposed to be. Weak excuse, l say. So many people miss him. I keep him in my prayers as l know he is up against a ruthless regime. JUST SAD. DR’s are over worked,over booked… like any other job, mistakes Are made. They trust there patients and wanna Help them. There’s several out there just about at the end like that Gentleman…or end up in a nursing home due to have lost their mind trying to deal with the Pain….it could have been what his future would be… but didn’t want that… that’s No Life..Have you been to a nursing home ??? Visit one Please.! There are several in the same situation…Seems A person honest can’t get help.. with insurance, meds, it is even costen there marriage,children,mind, security,friends,home,car,then life…. people that has different types of metal in there body, most likely need’s pain meds,even botched up spine surgery and ended up with Permanent nerve Damage they just need/deserve some way to have a life… They are not wanting to be Zoned out. Yard work,house work etc.is up to them to do… some has No one to help them & Not able to hire Help.Another thing… Uncle Author move’s in Older Victim’s,which creates More pain… These Victim’s need’s Help… They Are Disabled.. alot of young gets/uses this kind of meds..then once withdrawal start They go get nerve meds.. then goes sign’s up on SSI/disability and gets it & Never Worked much at all.. A lot are good actor/actress and I do understand A Dr tires to help there patients.. They party most time…96 percent accidentally overdose. I really think most that tries to get off pain meds goes to A clinic and gets hooked/hi on Suboxone… once they get cut off they go to another clinic… it’s costing Medicaid Billions… They don’t care because they Don’t wanna Work & want that Free Money. This story made me cry. I live with chronic debilitating pain and I certainly understand how pain can make you wish you were dead. I live on opioids and legal medicinal marijuana and still suffer daily. But I love life and have wonderful family and friends that keep me going. I totally understand. I’m almost there. Dear Dr. Datz, thank you for sharing this sad yet not too unfamiliar story with all of us. It reminds me of my lowest moments… where revolving door providers shrugged their shoulders when I asked them “what should I do? What do you recommend? If I was your daughter – how would you advocate for me?” After being informed that because they could not locate an accurate diagnosis – they could not “risk” providing symptom management to me. Even after 15 years of being in healthcare myself. I went home that night and stared at my two young children. I burned their images into my mind to hold onto during the long sleepless night that was before me – yet again. Our roles now reversed they were the umbilical cords to hope that helped me hang on. I knew had they not been there – I wouldn’t be either. I remembered also the first time I heard the word… “Writhing”. It was during a 4th grade spelling bee. I asked that it be used in a sentence. The teacher said “She was writhing in bed in pain”. I was shocked. I hadn’t expected that definition. I thought of my own mother – helplessly and involuntarily moving her limbs in agony. Then I experienced it myself. Night after night. I tried the rolling pin from the kitchen on my legs. Baths full of cold water and ice. Heating pads ,TENS units, on and on and on… without an ounce of relief. I am grateful now for the experience. Writhing and living with chronic illness has made me more empathic than I knew I could be. It’s given a new lense to view the Health”care” world through… mostly it’s made me want to be the fiercest of all advocates. A voice for the voiceless – like your patient. Let us not forget him or ourselves. I feel the same in regards to wanting to end my misery. I can’t seem to get anyone (doctors), to listen to my god forsaken constantly burning, throbing, stabbing, “live wire” electric pain. 2 failed surgeries and no light at the end of the tunnel. I was on treatment round the clock pain control, which is about all I can do at this point is control the pain. But the doctor is eliminating the pain patch which was all that kept me from jumping off the edge. Now the stigma of fentanyl has caused the doctor to stop the pain control and leave me back where I was…..in constant hell. Now I’m with out insurance and have no hope of ridding my body of this unliveable pain.’ Good bye cruel world, I’m leaving you today. Good bye, Good bye, Good bye. Please feel free to join us if you need support or encouragement. Dr Datz, I am very sorry you could not save him. So tragic, heart wrenching. My daughter is not a suicidal person, but she has suicidal pain. Until she takes her medicine in morning and it starts working, she is delirious with pain. The med may bring it down to an 8 for her. May. She is disabled still, isolated. Just she and i. She cannot do daily living activities. She has HEDS and Lyme and tick borne Co infections. We never found a tick on her. No idea how she got it. CDC positive for Lyme. Due to HEDS she absorbs meds rapidly. There is a limit on meds and that is not enough. She lost her previous life at 23, now 32. Her Pain rules our lives. It is a tragic thing to see your child suffer to no end. We have gone thru some med changes due to them removed ftom market. It was extremely stressful, both of us crying, trying not to throw in the towel. Lyme is on the rise. Do not forget I goes undiagnosed like my daughter for years. At that point, one is in very bad shape. Warning to those who want these meds removed, it could be their child or themselves that need them one day. Lyme will get most the population at one point, it’s coming. I just want my daughter to be able to be the interior architect she was and build her drwam and senior thesis, a holistic healing center, and help do interior arch for disabled people. Just want one morning where I am nit crying and praying for her to get better. Thank you doctor, you are one of those who care. I can’t say that about the majority of doctors we have seen. Prayers for you. I understand how hard this must be on you, but coming from a place very close to where your patient was, I can tell you that in all probability he did think that he had no other choices and likely he was right. Recently, while advocating for my wife, a chronic pain patient on less than half the dose she would need to be out of pain, I realized that over time all her providers priorities had shifted from pain control to sobriety. Her doctors no longer care about her pain, they only care about her sobriety. They dismiss her, taking notice only when her pain is so debilitating she has suicide fantasies. That was the only time when we saw action. It was supposed to be a measure of how acute her pain was, it has become another weapon in their arsenal to make her less than fully human. When she first sought help for her pain (due to a variety of causes, but for the most part a bad car accident and spinal injury), She went through a pharmacopeia of drugs before they settled on opioids. They adjusted her dose and eventually she went back to work. She still had migraines and other issues, but she was not in bed 24/7. Eventually, her GP decided her dose was too high. Cut it to less than half. The pain came back, with a vengeance. She lost her job. Then, a bit over a year ago, they placed her on Suboxone. It didn’t work. They told her to mix tylenol and advil. She became allergic to Acetaminophen and had a almost fatal reaction. Eventually, they put her back on opioids, but on a dose that barely makes a dent on her pain. Except that now, in this new normal, they are telling her that opioids are not working for her pain and she needs to go on suboxone again. Opioids are not working because they are not giving her the dose she needs to be out of pain. Her doctors wield their prescription like a cattle prod. Her suicide fantasies are a whip to keep her in line. I try to advocate for her, but it’s like speaking to the Easter Island’s heads. Her doctors can’t display empathy. It’s clear they have a mandate: take patients off opiates. At all costs. If this doesn’t change soon, we’ll see a lot more “overdose” deaths. What are we doing this in the name of? Sobriety? Morals? Fear of addiction? It’s sure not about saving lives. When pain is handled the way these doctors do, it has a different name: torture. It is not your fault your patient killed himself. It is this ‘sobriety at all costs’. It is the zealots that run it that have his blood on their hands. Not you. In either a podcast or article I heard a doctor say that some physicians have said that they know that some patients will die due to be cutting off of pain control either by suicide or other health issues that arise due to uncontrolled pain. They followed that up with the statement that they would rather have a suicide or a person die of sudden cardiac arrest rather than have someone die due to opioids. We have not stopped one OD death with these inane protocols and policies. In fact, more deaths are happening due to opioids now, despite millions of people being restricted or denied access to prescribed medication. There is something seriously wrong this picture. There is something seriously wrong with our government and in with the fact that the AMA & doctors continue to refuse to stand up and tell government to stop targeting doctors and patients alike. America should be ashamed at what is happening to the most vulnerable among us. Finding a caring doctor and one that truly transcends the typical run-of-the-mill fair is almost impossible these days. This is the issue. The problem is not in their schooling, but deeply rooted in their being. How to deal and treat those like me with a chronic incurable diseases, who suffer each and every painful day knowing that when they wake the next morning they will suffer yet again, and again, isn’t taught in any text book or during their residency, its a GIFT to those rare few who are deserving of it. Most physicians are hardened within 8-12 months of starting their practices. They’re overwhelmed by their daily experiences in the Pain Universe we dwell in. I guess its a normal survival reflex to lose their compassion, or to at least hide it from their patients, their staff and mostly from themselves. I truly believe it should be the exact opposite. Pain doctors should embrace their emotions more and express them to their patients, to give out hugs and even cry together will go so much further than the callus expressionless robots most pain doctors are today. Sadly they go through their daily routines, asking their simple questions, nodding their heads while not listening, then shake your hands as they file their paperwork with the front desk comforted that they will soon return to their pain-free lives, while we redundantly endure, exist, moment to moment, minute to minute, hour to hour, day to day, year after year in hell, a hell made worse by current politics and policies. When physicians understand and accept that its okay if a chronic pain patient ever decides to exit from THEIR life of severe pain and misery, it’s not on THEM! Remorse and sadness are expected, and appreciated yes, but why feel any responsibility, unless your care and attention to that patient fell short? A guilty conscience will eventually wreak havoc on ones ability to properly perform their job and will be repeated unless something is learned from it. Learn from it Geralyn. Bottom line, get even more in touch with your emotional humanity, reach out with them to your patients in need, embrace them, express it to them, it’s not a weakness, but a STRENGTH! This is an invitation to submit your own comment to the FDA website regarding a citizen petition that seeks the wholesale removal from market all oral opioid formulations (pills, capsules, lollipops) that, when taken as directed, might result in exceeding 90 MME. Open comments are possible until 11:59pm on 2/28/2018 and we urge you to comment, even briefly, in your own words. Please reply to this terrible idea introduced by the misguided Dr. Kolodny!!!!! I have given up hope they will hear us. I know the pendulum won’t swing back in time to save me, but I thank you all for fighting, because unless things change, my daughter is facing a lifetime of pain and just like my parents, and myself, will die from the complications brought on by unrelieved long term Chronic pain. Its torture. Its inhumane and I will fight as long as my body allows me. That article hit home for me. I have been in pain for 20 years.I worked hard all my life.My life wasn’t easy. Finally my spine gave out.I have had 4 neck surgeries and 4 back surgery.All I wanted to do is get back to my life.It didn’t happen.I’m in severe pain I walk hunched over and I finally got a diagnosis. Flat Back syndrome severe pinched nerves.The doctor can fix it but it entails a 12 hour surgery and 1 year recovery.He informed me this surgery has many complications.This has brought up a lot of issues for me.My medical bills are already out of control and well you get the picture.I also take care of my 88 yr.old mom.I keep going but lately I’m running out of steam.Yes I have been thinking about taking my life. It seems like the medical professionals where I live don’t give a damn.I feel alone and abandoned but I will push on and try again to reach out to somebody.What else can I do? This article made me think. Earlier I joined in this discussion. I would like to clarify something I said. There ARE doctors out here such as Dr. Richard Lawhorne who are and have been relentless in trying to fight for our rights since this started. Also I am blessed with a very kind doctor. One who wishes he could do more than what he is allowed. I’ve also read on other discussions that there are doctors who have had to close their practice because they can’t get the pain medicine they need. I just think it’s a sad situation that there are doctors that are only now realizing and or wanting to admit the ramifications of said law. It is very disheartening when your doctor sends you to a pain clinic to get approval to increase your medication. Said pain clinic states there is acupuncture, though of course not many can afford it. Injections they put in your spine that are absolutely wonderful! These injections are not even FDA approved, one of the side effects is cardiac arrest. Then there’s physical therapy though you’re hurting so badly, it’s almost unbearable to do. Last but not least they have a psychiatrist that will solve all of your problems that the above will not! Tell me please… anyone, what is a psychiatrist going to say to you that is going to stop your body from throbbing like a major toothache in the middle of the night? Yes they’re right, the majority of us can’t afford acupuncture. Tried the shots, 24 hours later went into cardiac arrest not once but twice. Now have a pacemaker and defibrillator. I was so hoping physical therapy would help something; though more than one of the exercises left me worse off than I was before for a few months. Therapist… so far I’ve yet to hear what will make it better other than watching a movie, reading a book or going out and having fun. In other words forget about that aching, stabbing, throbbing pain because you do not need pain medication. The very same clinic in which 14 years ago put me on a fentanyl patch that was so strong it literally made me sick. This is what I’m talking about, before the law; there WAS help!!! It was just finding someone who was patient enough to see what particular medication did not make you sick and that would help you live your life; not want to end it. I will continue to pray with faith for all of us. I am not giving up and I am not going to let this make me take my life either. Everyday I say a little prayer for every single one of us. Some of you I pray for by name…. Sorry to hear of your patient Dr. Datz. As someone who suffers from chronic pain I can relate. I was left this month, due to insurance with no medication for 5 days. I had to wait for the authorization to continue to cover my prescription. This “opiate crisis” has caused chronic pain suffer’s more suffering. My medication has been cut to a dose that doesn’t cover my pain. Unfortunately suicides will continue to be on the rise. Doctors are afraid to prescribe and insurance companies don’t want to cover the medications. People voted for Obamacare! That means govt takeover. When govt is paying the bills they start cutting. They immediately started talking about the millions on pain meds and how much it was going to cost the govt! This cutback started back in 2010,11&12. They’re not suddenly caring about street addicts & pain patients! We can yell, scream, or die. It’s about money not patient care! Wow. This is so sad. I do blame society in the fact that there has to be a label on everything. I take my pain meds so I can feel better during the day. Yet some days it’s just so hard to cope even with the pills. I feel alone and I feel desperate/ I tell myself this will get better, but really it never does. Even my own Husband calls me a drug addict on a daily basis, up to the point where I just want to call it quits. I get my pills from a Dr. I take my pills when I am suppose to and I do not go out on the streets and look for other ways of pain relieve. In today’s society there are a lot of drug addicts that give us pain sufferers a label.I wish I could just make people ie the government realize that just because I take pain meds does not give anyone including my husband the right to call me a drug addict. It hurts on so many levels.Is there a drug problem in today’s world, YES but I am not the problem and neither are all of the thousands of people who on a daily basis take pain meds responsibly. I do take half of what I use to take before all this regulation started, and really I felt a lot better back then.Now I just cope day to day waking up hoping that today will be a better day.